Wedding gives all of us an opportunity to go on shopping spree and buy to our hearts desire, a wedding dress being in the centre of all buying sprees. The perfect dress will make you stand out among hundreds and will give you confidence to carry yourself. But how to decide what to buy? Knowing about latest trends in fashion industry helps you to what’s hot and what’s not. A wedding dress with all the fashion highlights increases your celebration tenfold. The latest trends include ethnic touch with blend of western taste. One of the most important things to know is bright colors is in. plethora of colors made an Indian wedding complete. Neon pink, florescent yellow, orange, peacock blue and parrot green are to name a few. Also experiment is the new fashion. Experiment with everything, colors, sequin, accessories and style to make your own statement and stand out in crowd. Follow the latest and most popular bridal wear trends in India mentioned below. Go for the heavy lehengas. The may be too heavy, but then you can master there carriage in few practice sessions. Buy high, comfortable heels to carry the heavy lehenga. Heavily pleated lehengas with full skirts are all the rage this season. Match it up with sizzling cholis and contrast dupatta to get the hang of the trend. Backless blouses and corset shaped choli with heavy tussles will add to the beauty. From traditional work, intricate gotta patti and zari work are back in trend. You can also wear silk lehenga which are in fashion from bollywood films. Saree is the most frequently worn dress buy Indian brides. While heavy brocade and embidered saree are always in, todays fashion dictate that brides opt for lighter and modern sarees. The entire outfit as a whole can be of matching colours or contrasting. Team your heavily bordered saree with sizzling backless blouses, tussles and puff sleeves to get a brand new image. Another option is lehenga saree which is actually a half saree which gives a look of lehenga. It can be two shaded teamed with contrasting blouse. It comes with a lengthy flared outfit with a zip at the side. The half-lehenga style saree is comfortable and do not require much time in dressing up as it is with sarees. Inspired from western weddings, nowadays Indian weddings are teamed with input from west. Wedding gowns have replaced traditional sarees. The latest trends in gowns are heavily embroidered jackets with gowns, half saree-gown, saree belts which give sarees look like gowns. Salwar Kameez, Patiala, Trouser Kameez, Anarkali, Angrakha and A-line are a few styles available to choose from. Embroidery is much more elegant now also. Super shiny embroidery has been traded out for more elegant fabric and thread work. Gone are the days when more is better… lesser work looks more elegant and trendy. List of latest trends in choosing best Wedding dresses for Indian Brides. Your wedding day is the most cherished day of your life. No other day can be as huge as this day. Every girl prepares herself from the day she understands the meaning of marriage. It becomes a dream of her lifetime which she cannot let go at any cost. And wedding fashion designers have a very important role to play in this regard. Bridal wear designers of this generation have made this affair even grander. They have literally changed the face of wedding wears especially in a country like India. Today, we have come up with the top 5 all time favorite Bridal Designers in India. Have a look and plan your choice accordingly. 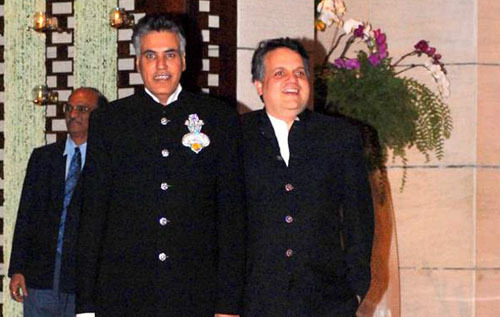 The designer duo Abu Jani and Sandeep Khosla has been ruling the bridal fashion market for more than over 26 years now. Pure Indian comfort is their trademark. They are also known for their awesome karigars and zardozi work on their delicate fabric. They were the pioneers who introduce chikan work in bridal dresses. Bollywood celebs like the Bachchans and Dimple Kapadia cannot stop praising their work. They are based in Mumbai, Delhi and London. 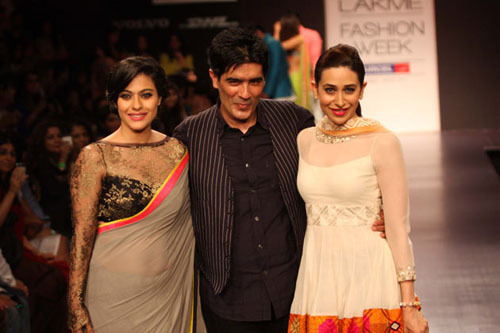 Manish Malhotra is entire bollywood’s most favorite designer. His beautiful embroidery work and flowing silhouettes is crafted in such a way that it suits all body types. He loves to play with colors. His heavy lace work is acclaimed worldwide. Celebs like Kareena Kapoor, Kajol, Madhuri Dixit, Priyanka Chopra, Kate Moss and Naomi Campbell are a few of his regulars. Ritu Kumar is known for the sophistication and euphoria she brings to bridal wear. Her work reflects the amalgamation of contemporary and age-old Indian craftsmanship. She uses rich fabrics like crepe, georgette, silk etc. with elaborate designs and embellishments. 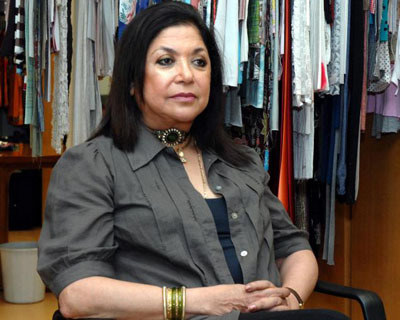 She has always remained the undefeated queen of the Indian bridal industry. She ruled the Rajasthan Fashion Week where she could mesmerize the spectators with her free-flowing ethnic silhouettes like anarkalis, bridal saris and lehengas. National Film Awards winner Neeta Lulla is another prominent fashion designer of India. Who can ever forget her best work in Jodha Akbar? Her versatile excellence in this field has made her apple of the eye of the bollywood industry. Her collection of cocktail gowns, anarkalis, saris and bridal lehengas in soft fabrics such as silk, crepe, chiffon and georgette added up to your sophisticated look on your wedding day. Actresses like Aishawarya Rai and Esha Deol ad their wedding dresses designed by her. Tarun Tahiliani is known for his superb blend of elaborate textile, meticulous tailor-made designs and refined luxury with historical richness and contemporary chic when it comes to bridal wear. He has the ability to bring out international appeal for his Desi creations. This globally acclaimed bridal designer has gowns, saris and lehengas in his collection. His creations normally remains dipped in color and ethnicity. Shilpa Shetty had her entire bridal trousseau along with wedding saree designed by Tarun Tahiliani himself. 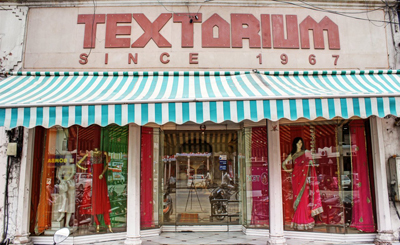 Textorium has been offering a wide range of sarees with highly created matching blouse with hand-painting, embroideries in timeless motives and exotic appliqués. It awesome and elegant saree collection includes Bridal Ghagra-Chunni, blowses and ensembles fabric and embroidered border as an exclusive saree. They also resent embroideries from the bygone era in contemporary style. Antique embroideries used on the royal ensembles are translated into contemporary motives on sarees, lehngas and odhnis. They are abundant in variety of wedding collection of sarees, wedding silk sarees, fancy wedding sarees, printed wedding sarees and embroidered wedding sarees. They also offer kalanjali silk sarees and botic printed silk sarees salwar soot, bridal wedding lehenga, fancy wedding lehenga, fashion wedding lehenga, designer wedding lehenga and stylish wedding lehenga in various ranges and styles. 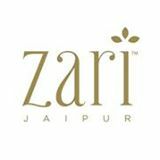 Zari Silk is the finest Indian ethnic wear showroom for Bridal Wear shopping in Jaipur. They are specializing in bridal wear creating exquisite and delicately handcrafted masterpieces that can be passed on to generations. They have been successful in preserving the Indian fashion tradition and the legacy of the Indian craftsman in the bridal sarees they make. 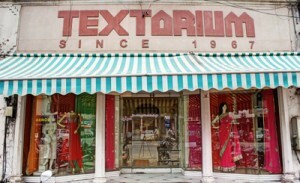 Their stores are spread in Jaipur, Jodhpur, Udaipur, Indore, Raipur, Mumbai and Bangalore. Pratap Sons was founded in 1954 and ever since has been able to carve out a niche for itself in the Jaipur fashion market. 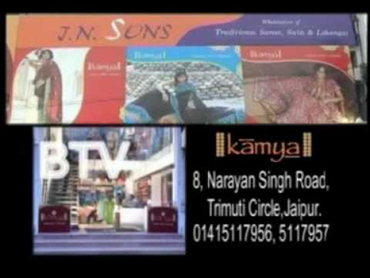 Pratap Sons is a designer showroom with all the trapping of good fashion for your wedding. 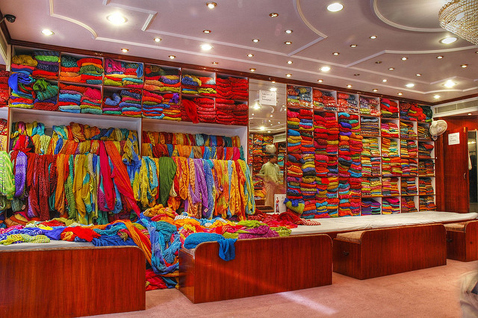 You will find designer sarees, silks, lehengas, salwars, unstitched suits and indo-western wear for your wedding. Rich, intricate designs delicately crafted onto bright fabrics exhibits ethnic fashion in all its grandeur. With a spanking new 40,000 sq. ft. showroom on Tonk Road, Jaipur Pratap Sons has been able to provide its customers an elegant, graceful and stylish way of dressing. 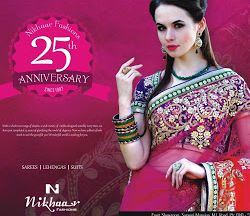 Nikhar Fashions in Jaipur includes a fascinating collection of bridal, designer, party wear, fancy embroidery, traditional and other fine quality of sarees and ethnic wear. With the aim to successfully meet the demands of a large number of customers with different preferences, the store fabricates a wide range of sarees in different patterns and hues. The exquisite collection of fancy sarees and other dress materials for all occasions has been playing a magnetic effect on its beholder. The brand emphasizes to provide the latest stylist and fashionable wears to the valued clients, and have always been at the forefront of fashion, ever since of its inception. The quality, finishing, looks, designs, patterns and colors, everything is redefined, with the aid of the combined efforts of man and machines at Nikhar Fashions. 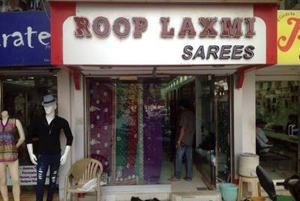 Roop Laxmi Suit & Sarees in Jaipur has been providing you with the best services possible in Jaipur in terms of wedding saree. Their goal is to accommodate customers’ demands for the supreme services they deserve. They have been achieving this goal through honesty and integrity. They are always early and you will get your wedding party wear out of the latest trend in the market. 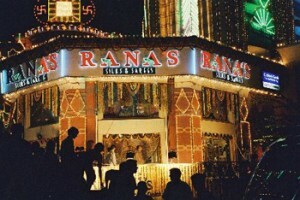 They are dedicated to giving responsive service to each and every customer providing service all over Jaipur. Even though times have changed and so is fashion, the ethnicity of the vivid and lively Rajasthan is still reflected on the brides wear. Thus, Rana features the finest, most fashionable Designer Sarees, Bridal Sarees, Crepe Silk Sarees, Bandhej Sarees, Brasso Sarees, Brocade Silk, Cotton Silk Sarees, Embroidered Sarees, Fashion Sarees, Fancy Sarees, Lehenga Sarees, Handwork Sarees, Partywear Sarees, Printed Sarees, Sherwani Suits, Texedos Suits, Wedding Mojari, Wedding Purse, Bollywood Lehenga, Banarasi Saree, Anarkali Salwar Kameez, Bandhani Salwar Kameez, Bridal Lehenga, Designer Lehengas, Designer Salwar Suits, Dulhan Lehenga, Georgette Saree, Gujarati White & Red Saree, Indian Sherwani, Indowestern, Kurta Pyjama, Lehenga Choli, Patiala Salwar, Ramp Sarees, Catwalk Sarees in unparallel quality. Vasari is one of the famous brands in women’s bridal wear. The collection at Vasari includes party wear lehengas, sarres, choli, etc. At VASARI there is a complete range of cloths and fabrics for women like Fancy Sarees, Lehenga Sarees, Handwork Sarees, Partywear Sarees, Printed Sarees, Sherwani Suits, Texedos Suits, Wedding Mojari, Wedding Purse, Bollywood Lehenga, Banarasi Saree, Anarkali Salwar Kameez, Bandhani Salwar Kameez, Bridal Lehenga and so on. The variety of fabrics caters to the needs of both the elite class people as well as the middle class. Sattva Saree is another reputed and eminent bridal and designer saree store of Jaipur. Sattva houses unique sarees that have been hand-crafted to make a woman look elegant on their wedding day. Made from finest quality of fabrics, outfits from Sattva are innovated from classical Indian aesthetics and are synonymous with efficiency and quality. Having already captured the imagination of its target audience in Jaipur, they are sure to woo the tasteful buyers of the capital of the country. Sattva is a brand of Shubham Resorts Pvt Ltd with an annual turnover of more than 10 crore. It is a registered company under company’s act and Rajasthan sale tax act. Kamya Saree in Jaipur has been providing you with the best services possible in Jaipur in terms of wedding saree. Their goal is to accommodate customers’ demands for the supreme services they deserve. They have been achieving this goal through honesty and integrity. They are always early and you will get your wedding party wear out of the latest trend in the market. They are dedicated to giving responsive service to each and every customer providing service all over Jaipur.